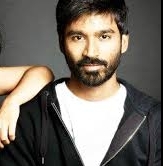 It’s a hat-trick for Dhanush…. Anegan, starring Dhanush and Amyra Dastur in the lead roles, is all set to release on the 13th of February. Karthik is making a comeback after a long while in this movie. The trailer of this KV Anand directorial was released on the 7th of January,2015 and has crossed the coveted 1 million mark views today (12th January). It must also be noted that this is the third consecutive time a Dhanush movie has managed to cross the magical one million mark views. Velaiyilla Pattathari did it first, then Shamitabh and now Anegan does it. With expectations surrounding his upcoming movies like Maari and the untitled Velraj film, Dhanush is likely to repeat this feat more often. Vijay Sethupathi in his next gangster flick? 'I' Tickets - The Hottest Selling Item of the Market ! ‘I’ takes the center stage. ‘I’ to have a monstrous opening not just in India…. Kaaki Sattai is all set to introduce us a new Sivakarthikeyan ! Richa dreads Amala Paul's happiest day ! Valentine's Day Treat From Dhanush And KV Anand ! People looking for online information on Anegan, Dhanush, Shamitabh, Velaiyilla Pattathari, VIP will find this news story useful.